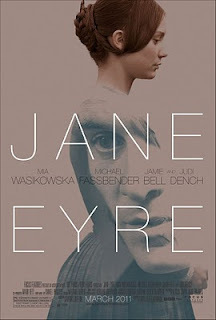 I love period movies and I was excited when I saw the trailer for the new Jane Eyre movie. This version of the 1847 book by Charlotte Bronte stars Mia Wasikowska, who appeared last year in Tim Burton's Alice in Wonderland movie. Rumours say that this film will stay fairly close to the storyline. Watch the new Jane Eyre movie trailer. See Amazon's complete selection of Jane Eyre movies. Read my page about the new Jane Eyre 2011 movie.